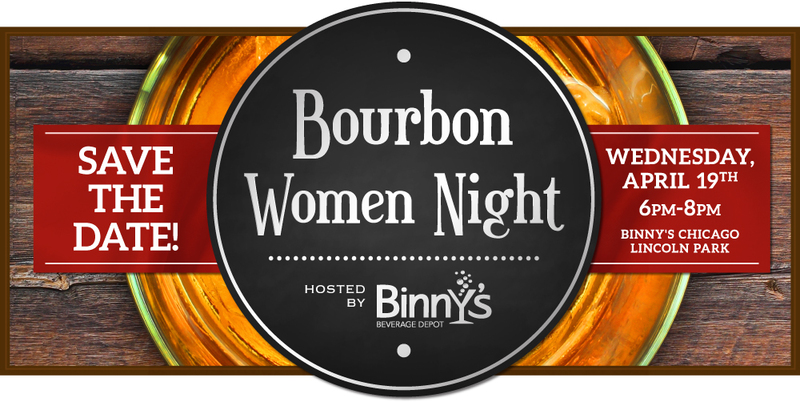 Bourbon Women Night is an opportunity to taste bourbon and network with the women of the spirits industry. Sample from a selection of 50+ spirits and discover new favorites from all over the country. From Kovals locally made gin to Nikka's Japanese Whisky to Journeyman's Michigan Bourbon Whiskey, it is a unique tasting experience. In anticipation of this years Bourbon Women Night, were excited to announce a few highlights. Over the last few years, we have picked single barrels from Smooth Ambler and Four Roses. This year, Bourbon Women have selected THREE single barrels from J. Henry & Sons and Journeyman Distillery. These handpicks will be released at Binny's Lincoln Park starting Wednesday, April 19th. This single barrel is the full package. It has consistent notes of caramel, mellow spice and corn. The mouthfeel leaves you wanting more with its buttery goodness. This single barrel is full of pepper and savory notes. It's spicy on the palate and the finish is long with delicious vanilla notes. Smoke, earth, and wood notes immediately grab your attention, followed by light flavors of caramel and vanilla goodness. In addition to these amazing handpicks, there will be tastings from local distilleries like North Shore, Koval, Rhine Hall, Chicago Distilling and CH Distilling. Our friends from Kentucky will also be there including Four Roses, Jim Beam, George Dickel, Woodford Reserve and many, many more. Each tasting is led by an influential female from the industry who represents that brand and will guide you through their current products available at Binnys. Other highlights include specialty cocktails influenced by female Chicago mixologists, small bites from local Lincoln Park establishments and a rare selection of Binnys Handpicked Single Barrels led by the Whiskey Hotline. After this tasting were sure youll want to plan a trip down to Kentucky, so visit The Louisville Convention & Visitors Bureau website for more information on all there is to do and see in the bourbon capital of the world. The first 200 attendees will receive a Binnys reusable tote bag filled with various branded items. These swag bags are first come, first served. Click here to purchase tickets and for more information on how to join Bourbon Women, click here. Visit our events page for info on upcoming tastings and fun happenings at your local Binnys.